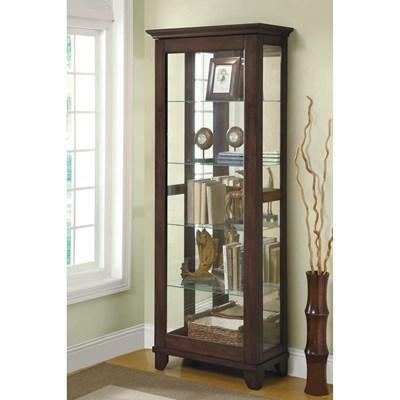 This beautiful Curio Cabinet features a simple black frame with glass push-to-open door with two tempered glass shelves behind. 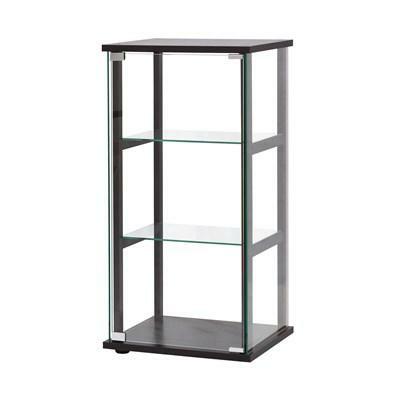 This cabinet offers display storage for all your favorite things. 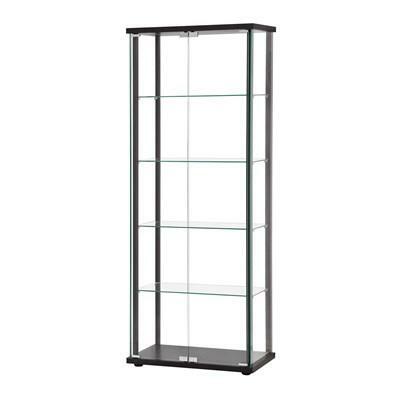 This beautiful Curio Cabinet features a simple black frame with glass push-to-open doors with four tempered glass shelves behind. 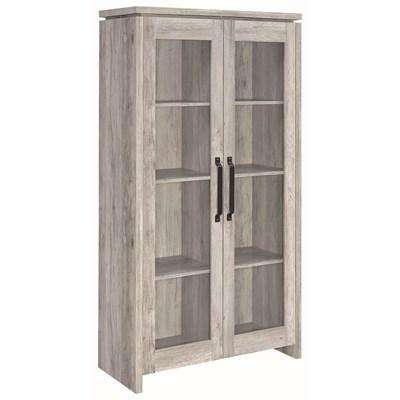 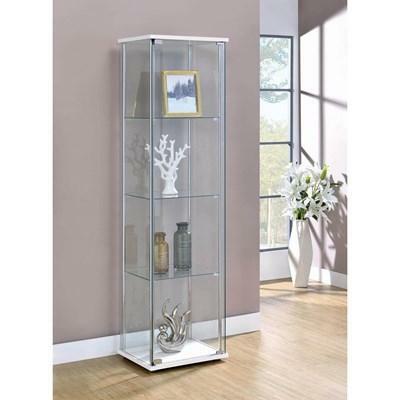 This cabinet offers plenty of display storage for all your beautiful things. 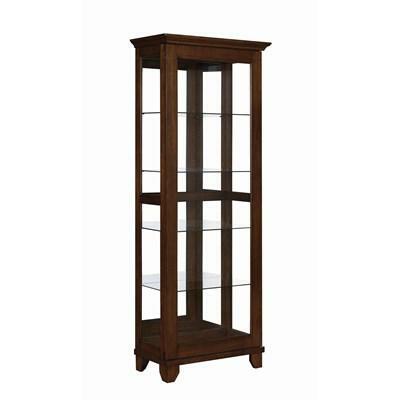 This beautiful Curio Cabinet features a simple black frame with glass push-to-open doors with five tempered glass shelves behind. 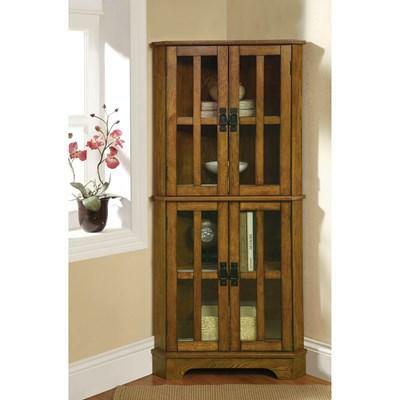 This cabinet offers plenty of display storage for all your favorite things. 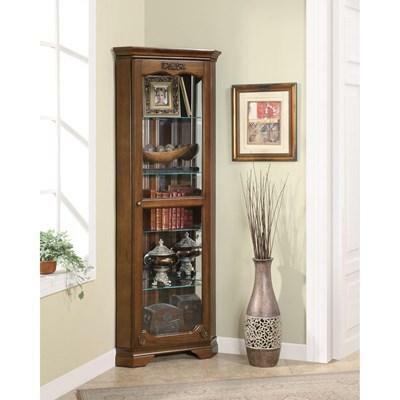 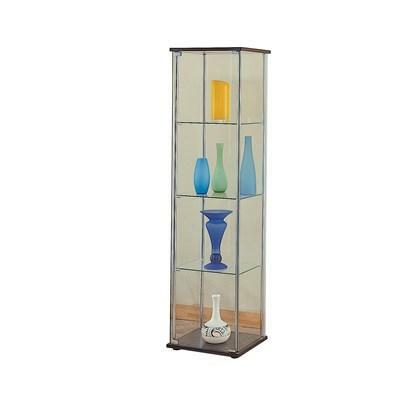 This beautiful corner curio cabinet comes in a golden brown finish and four wood framed glass doors. 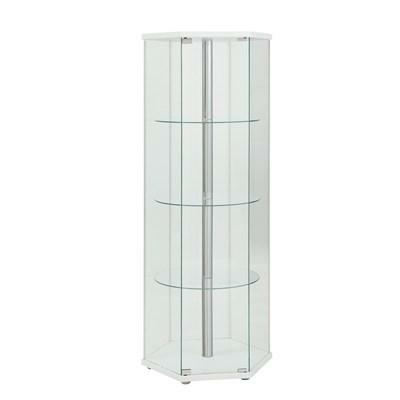 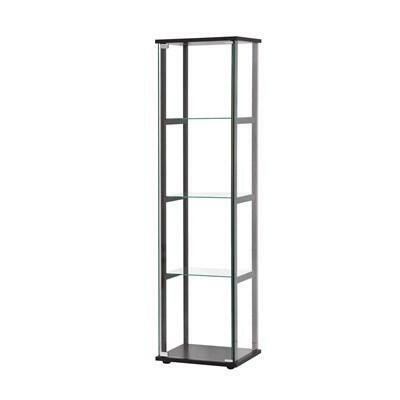 It offers four tempered glass shelves behind the doors, two being adjustable. 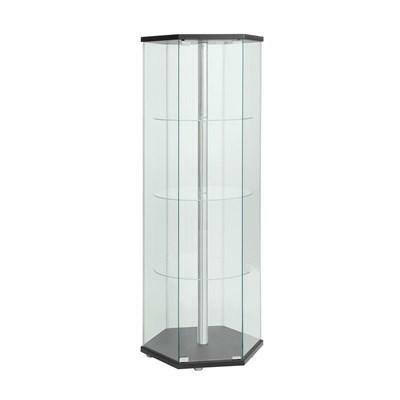 It has an ogee top and bracket feet.